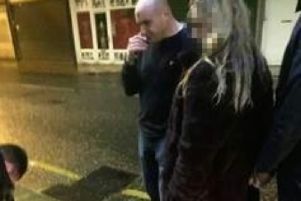 A Liberal Democrat councillor is calling on Pendle Council to carry out a review of the growing problem of drug-taking on the streets of Pendle. She said: “We know that there are growing problems of often younger people taking drugs on street corners, on pieces of amenity land and in woodland areas, on play areas and round the backs of buildings, leaving behind syringes and other items. This is often where young children play and it is just not acceptable. “We also know that there is growing use of cocaine in particular in and around public houses and other places where people go out in the evening. This again is not acceptable and is not a sensible way of spending an enjoyable evening for anyone. The councillor has tabled a motion for the next meeting of Pendle Council on Tuesday March 26th expressing concern over the public health aspect. Coun. Lord said she accepted that the issue needed efforts from many other agencies working together with the borough council. She added: "We think the council can do something to help and to get people working together which is why we are tabling this motion with the intention of it leading to action."